New Delhi : Aam Aadmi Party on Friday launched their third list of candidates for upcoming Assembly Elections in Punjab. A total of 29 names has been added to AAP’s candidates contesting in the upcoming polls. Now, the total number of candidates announces so far by Aam Aadmi Party has reached 61. Earlier, the party had announced 32 names in two sets. The latest list of 29 names comprises four journalists, three doctors, a progressive farmer and two matriculates. 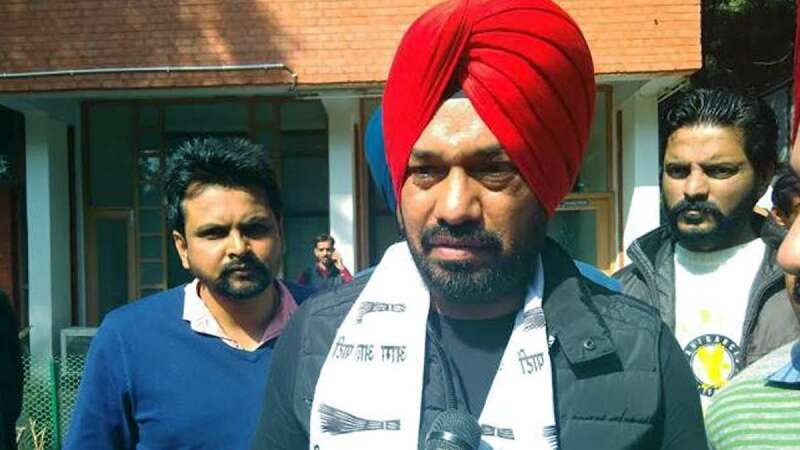 AAP Punjab spokesperson Sukhpal Singh Khaira will contest from Bholath, Asian Games gold medalist wrestler and former Punjab Police SP Kartar Singh from Tarn Taran, ex-Congress MP Charanjit Singh Channi from Nawanshahar and Punjab Dialogue Chairman and former journalist Kanwar Sandhu from Kharar. It has been learned that the names of 100 candidates will be announced by the end of this month. The latest list of AAP candidates names former journalists Kanwar Sandhu from Kharar, Manjit Singh from Nihalsingh Wala, Kulwant Singh from Mehal Kalan and Vinod Kumar from Bhoa. The name of doctors announced in the list are Ranyodh Singh from Dharamkot, Charanjit Singh from Chamkaur Sahib and Amarjit Singh from Shakot. The other names in the list are: Joginder Chhina from Dina Nagar, Gurpartap Singh from Dera Baba Nanak, Jagtar Singh from Nakodar, Gulshan Sharma from Jalandhar North, Darshan Lal from Jalandhar West, Amarpal Singh from Hargobindpur, Sulkhan Singh from Mukerian, Kulbhushan Minhas from Sujanpur and Paramjit Sachdeva from Hoshairpur. Besides, Sarvjit Kaur from Jagraon, Jagdeep Sandhu from Gidderbaha, Nazar Singh from Mansa, Parimal Singh from Bhadaur, Meet Heyar from Barnala, Jagtar Singh from Samana and Lakhbir Singh from Fatehgarh Sahib. # A total of 100 candidates names are expected by the end of this year.